The last few weeks and months have been pretty hectic at CC HQ, going some way to explain our slight decrease in blog posts in recent weeks. This weeks post should be interesting to all you photographer’s out there, particularly those of the amateur variety who are perhaps looking to increase your colour accuracy from shoot to screen. X-Rite are one of the flagship colour management brands, producing both the ColorChecker Passport – which has become the essential accessory for accurate input calibration – and ColorMunki Display, replacing the older i1Display 2 as the benchmark for display and screen calibration. 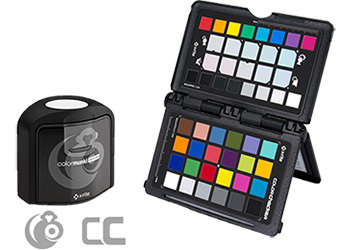 And now, these stellar colour management solutions are available as a bundle item. This means you can combine the advanced calibration solution to deliver accurate on-screen colour accuracy with the must-have, stand alone DNG profiling solution for RAW workflow pre and post shoots. And better still, you can save a few pounds too! These are the perfect solutions for any amateur photographer looking to take their shoots to the next level, particularly if you need that extra accuracy or colour verification within your work. You can view more about (and purchase, nudge nudge…) this bundle here. This entry was posted in Calibration, Color Confidence, Colour Management, Monitor Calibration, Photography, X-Rite and tagged Amateur Photography, Camera Calibration, camera RAW, Color Confidence, ColorChecker Passport, ColorMunki Display, Input calibration, Monitor Calibration, Photography, RAW camera management, X-Rite on August 24, 2012 by colorconfidence. 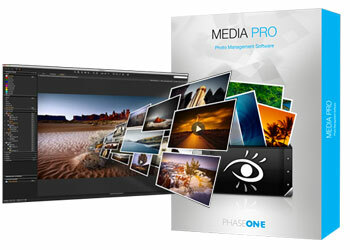 Media Pro 1 is Phase One’s intuitive photo, image and video management software built to manage large photo libraries. The software is designed to be fast and intuitive, resulting in a powerful yet simple photography assistant that will greatly improve the way you find, organise and share your image files. Better still, Media Pro will support image and video files from over 100 different cameras, specifically built to manage large photo libraries. This means that you can find and select your images quickly, and in RAW format. Media Pro’s digital photo management tools are tailor-made for professional photographer’s workflow, allowing you to rename, import, convert and tag hundreds of files at a time using its sophisticated batch processing tool. You can store your files anywhere too, including shared folders, CDs, hard drives or DVDs and use integrated search tools to find them in seconds. The Photo Manager tool also allows you to locate and select your images incredibly quickly with full-screen previews, and offers a number of tools that allow you to evaluate, magnify and colour correct the image or video that you select. Sharing is made easy too. Phase One Media Pro Reader enables you to distribute and share your catalogues with any chosen recipient at no extra cost, supporting both Mac and Windows formats. If you prefer, you can chose not to include your original media in your distribution, thus protecting your digital assets from being copied whilst letting others view List and Thumbnail views. This entry was posted in Color Confidence, Photography, Software and tagged camera RAW, Color Confidence, image management, Phase One Media Pro 1, Phase One Software, Photography, Photography management, Photography Software, RAW camera management, RAW workflow on August 10, 2012 by colorconfidence.